People are quick to get rid of stock wheels. Too often we want to get either bigger sizes, nicer designs or smaller and wider wheels and stretch tires (this last part isn’t the majority of F31 owners). 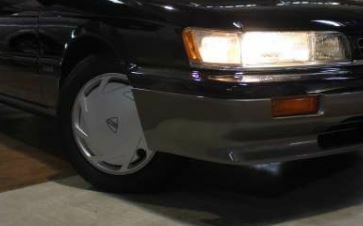 When I picked up my 1st M30, it had the chrome wheels, but a week later, one tire would be flat. I found out the chrome was peeling. So when I picked up my beige M30, I swapped the wheels. I loved that beige wheel on my black M30. Since bronze wheels was hot at the time, it just matched. 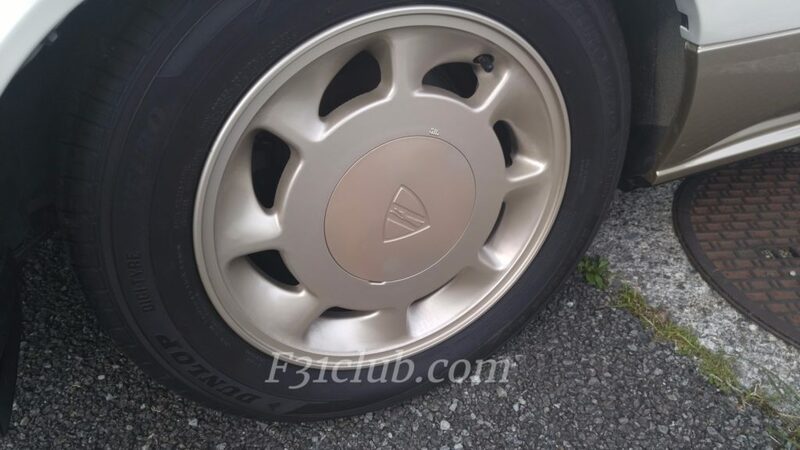 While a lowered F31 does look good on some nice wheels, I wanted to take a look at the Factory spec wheels. 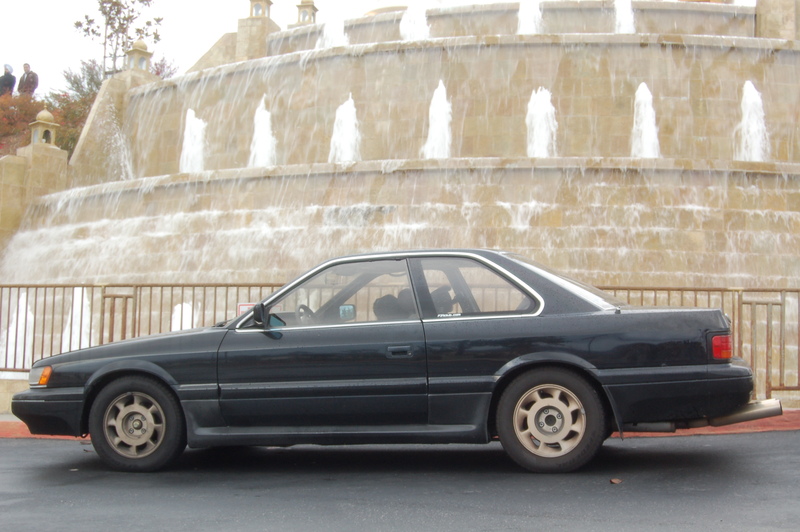 The Infiniti M30 had 1 design (possibly a 2nd one, which I will go over later) and this design was shared with the late stage F31 Nissan Leopard. 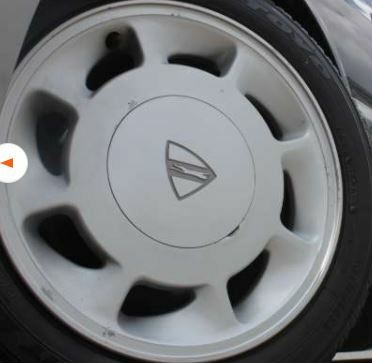 It is an 8 spoke type of rim. 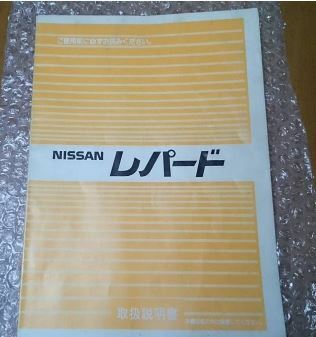 This design came with 3 finishes in the US, while in Japan, I believe it only came in 2 finishes. Those shared finishes are beige and silver. I believe the chrome finish was only offered with the Infiniti M30. 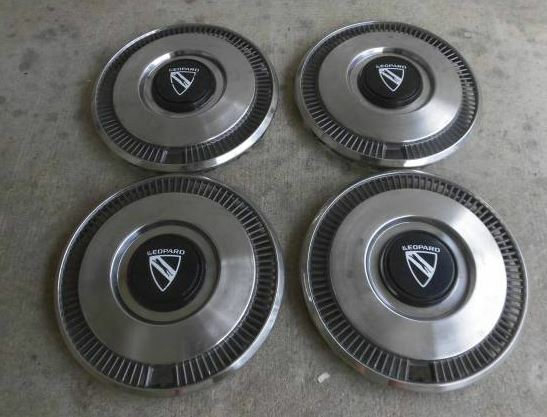 The wheel without the center caps are identical. 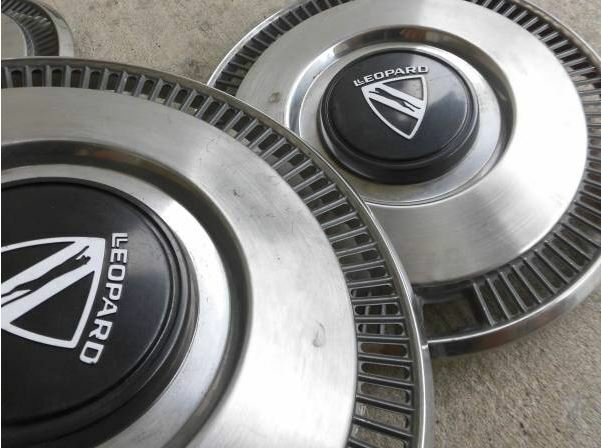 Obviously the center cap that came with the Infiniti M30 has the Infiniti insignia, while the Leopard has the Leopard insignia on the Japan spec. 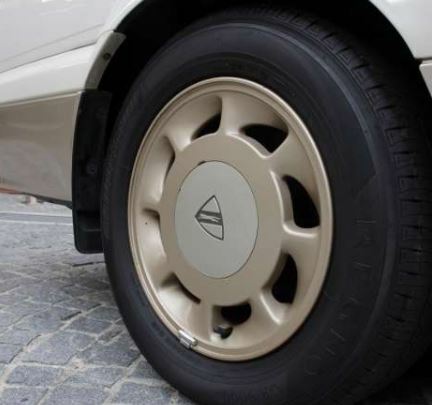 Beige wheel with leopard center cap. 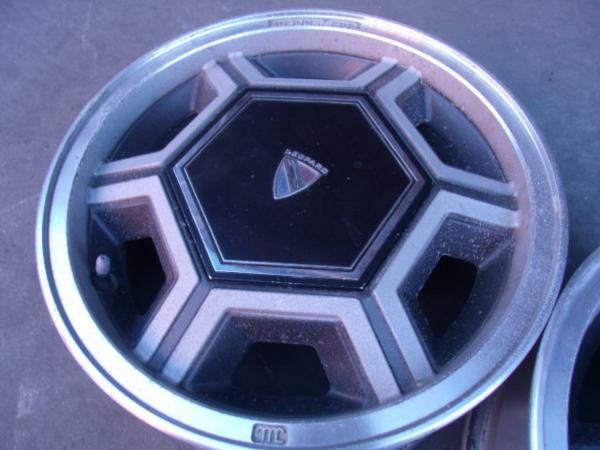 Silver wheel with leopard insignia center cap. 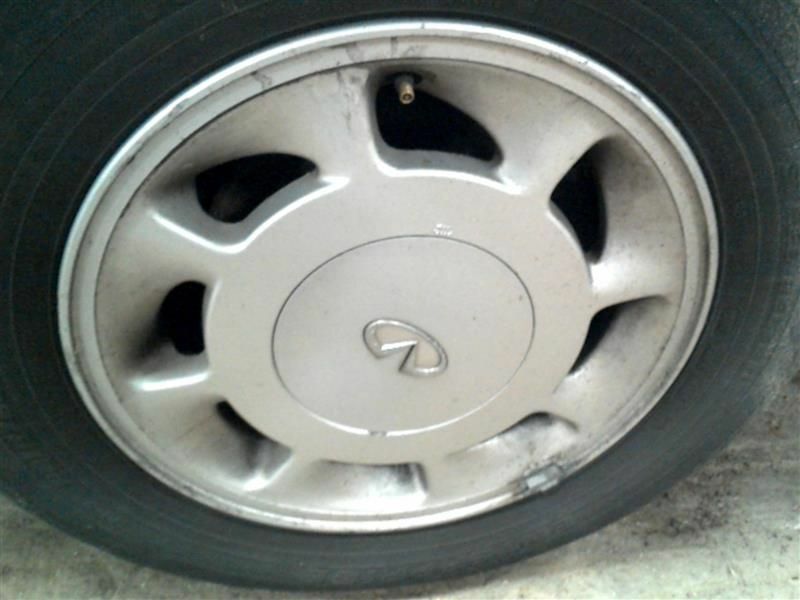 Silver wheel with Infiniti insignia on it. 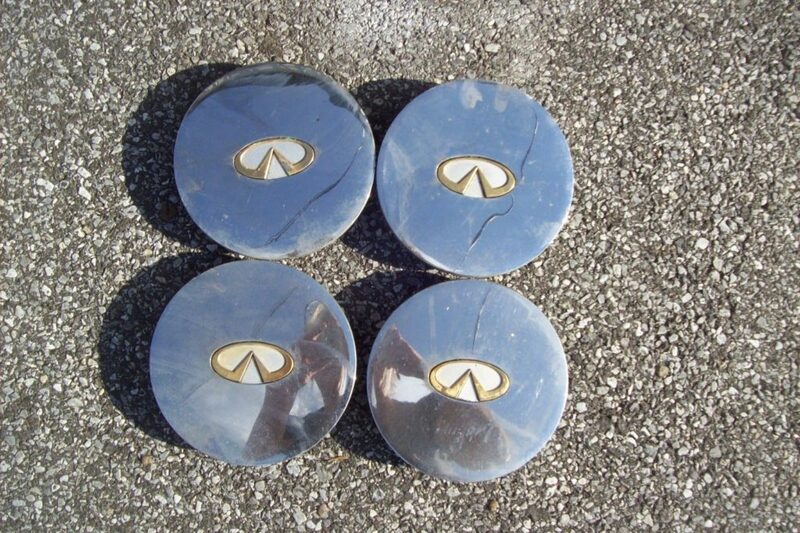 Infiniti Chrome center caps with gold accent to insignia. Chrome 8 spoke wheels with Chrome center caps. 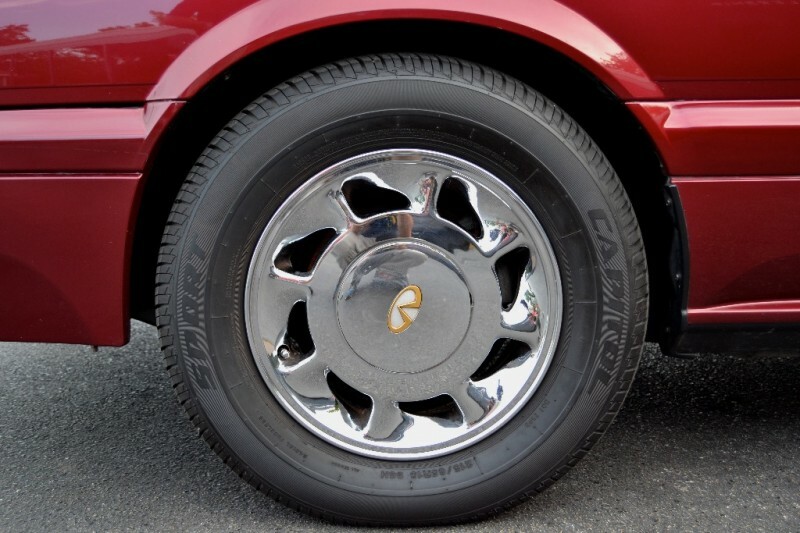 In Japan, Nissan Leopard also had a different wheel available. 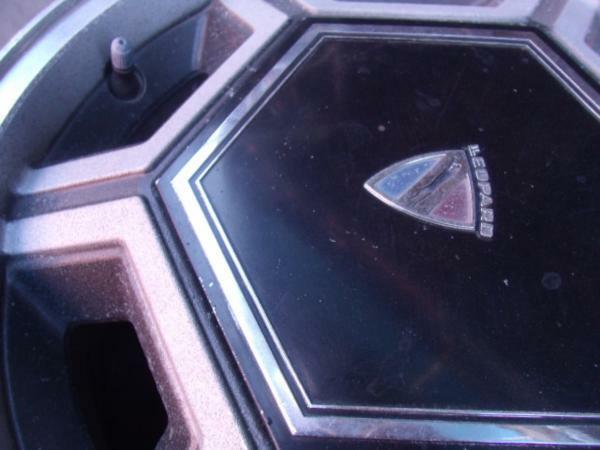 I noticed this in the Leopard brochure I have and found a Leopard with those exact same wheels. 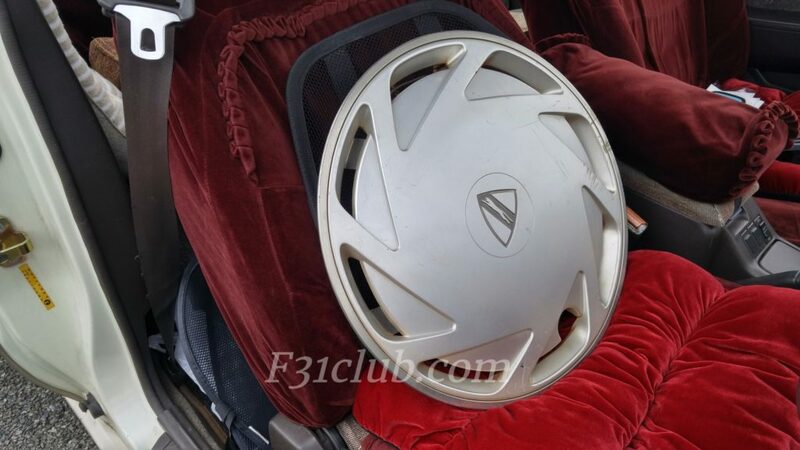 I do believe this is actual a hub cap cover. But it is officially Leopard. Update – At the October 2017 meeting, someone had one cap to show! Pretty cool to see! Additionally, I thought this was kinda cool. 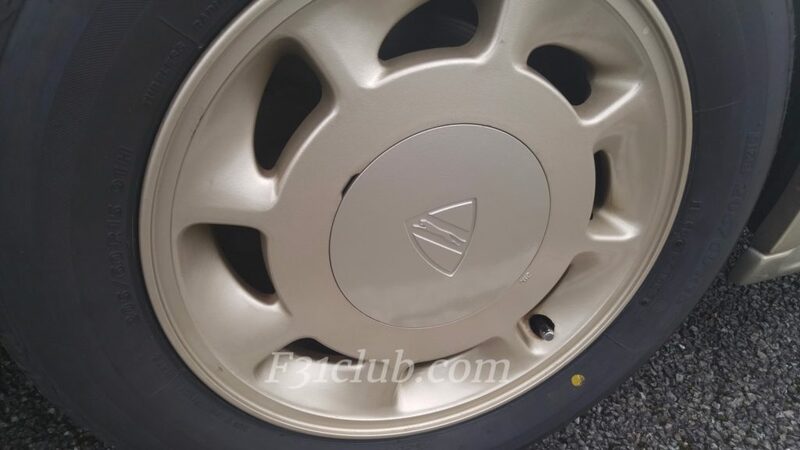 2 people painted their wheel covers to match that of the beige wheel. I’ve noticed that the BBS mesh wheels were very common on Leopards. I even speculated that they might have been an OEM option. I had the opportunity to ask people and many people have confided in me that it is not an OEM option. Qaz and I talked about this and he said that many people like BBS because it is nice looking and good quality. So Myth busted. 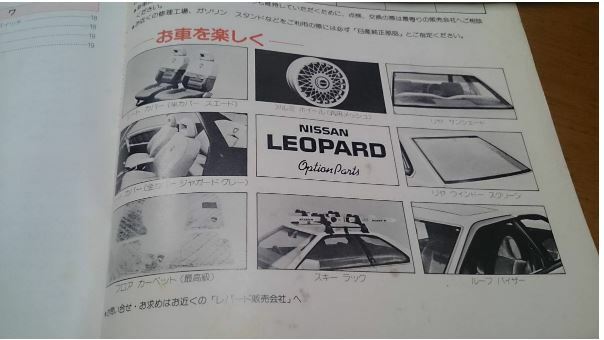 Some of the brochures that covered F31 Leopard options also had wheel specs! This was from one of those optional parts catalog. I don’t think I’ve seen people with the bottom wheel. 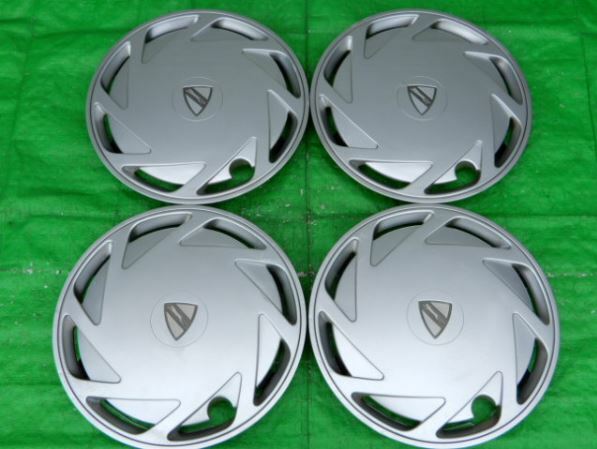 Top wheel: ▼ 15 inches for aluminum road wheels ₩ 100,000 (1 set / installation fee) ¥ 11 000) A 15-inch aerofin * style aluminum wheel that is standard-fitted to the advanced model (Ultima / XST). 6 ½.u × 15. Offset 25 mm. Set with 25 l / 60R15 tires Silver. 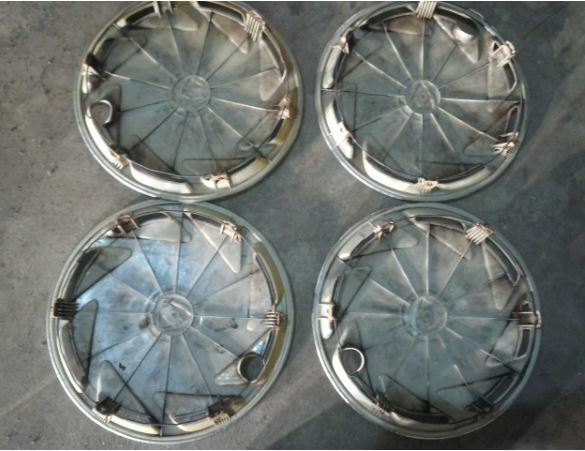 Bottom wheel: ▼ Fin type for aluminum road wheels. 14 inch] ¥ 99000 (1 unit / reference installation fee ¥ 1000) Left: champagne gold, right: white Two radial fins produce a sporty image . 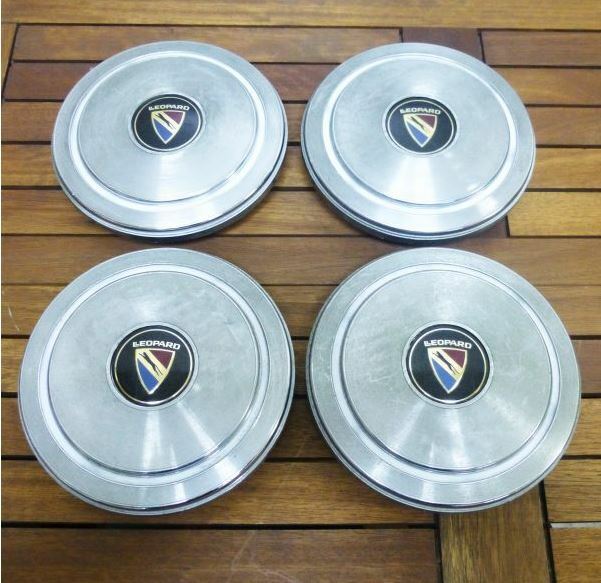 5 ½ JJX 14, offset 30 mm, 14 inch tire fitted car (XJ – 11 / XJ) to be installed. 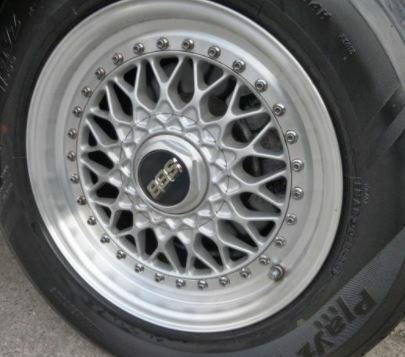 option parts… wait.. BBS wheels!!! 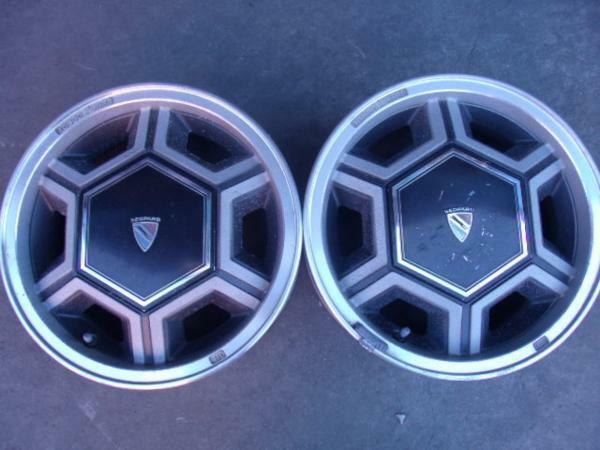 Here are F30 leopard wheel caps. I wanted to show these because they are actually pretty nice as far as the design.